Kelly disputed the reports about H.R. McMaster imminently leaving the White House. He said there are no active plans to replace him, and added that it would be great if the Army gave McMaster a 4th star. Kelly also defended HUD Sec. Ben Carson, who is under pressure for spending $31,000 on a furniture set. 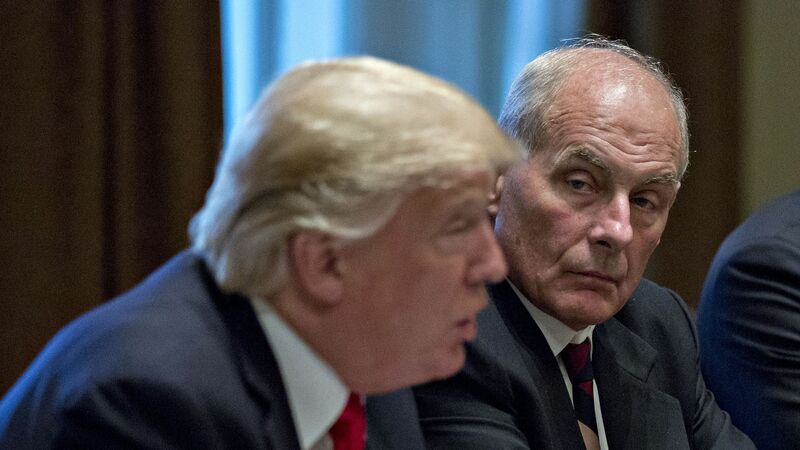 Kelly said $31,000 sounds like a lot of money, but to put it in context he asked a reporter how much they think the chair they’re sitting on costs. Kelly said it’s probably worth hundreds of dollars but it will last a long time. He rationalized Carson’s $31,000 outlay by saying the table could last for 80 or 100 years. Kelly was pressed on whether the President was going to fire Carson. He made a military analogy. He said whenever he makes a decision, he makes sure that it’s legally permissible and from that line he takes five paces back — to allow for optics, ethical and other considerations. Kelly said he wants all decision-making across government to be like that and the impression reporters were left with was that Carson is not going to be fired. Kelly said he has been telling Trump that Jeff Sessions is doing a good job. Kelly went above and beyond to defend Sessions, and told the president that the press only reports about 3% of what he does.